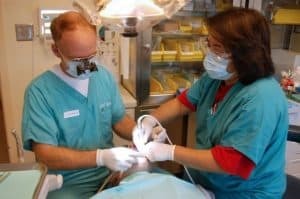 Healthcare companies are an “irresistible” target for hackers, yet many dentists may believe that they are immune to cybersecurity breaches. Although the news certainly reports high-profile health care organizations are primarily becoming victims of cyber-attacks, smaller medical and dental practices are equally at risk. In fact, the harm is often more significant to small businesses that lack the resources to recover from financial and reputational damage. Now, more than ever, dentists need to explore IT security management for their practices. One of the worst security breaches to happen in Canada resulted from the theft of an unencrypted laptop that exposed the personal data of more than half a million Medicentre Family Health Care Clinic patients. Millions of health care records in the U.S. and Canada have been compromised over the last few years, and over half of organizations that have experienced data breaches are smaller practices. Access is often gained through stolen devices, such as tablets, mobile phones, and laptops, as well as through phishing attempts. Unauthorized access is easier with smaller organizations that are less likely to have invested in comprehensive cybersecurity measures, and hackers are taking advantage. Old software systems that are not properly maintained are partially at fault for the ease in which hackers can access private data. Shockingly, many practices continue to ignore the importance of implementing an off-site backup system to protect their data from ransomware or catastrophic loss. Data may not be lost to the black market, but patients will question your reliability. Dental offices of any size typically have hundreds, if not thousands, of patients. Although some patients will make frequent visits to the dentist, most will only be seen a few times a year. 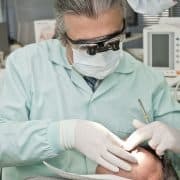 To be sure, the number of cavities a patient has is of little interest to hackers, but dental offices end up being responsible for vast amounts of personal data beyond tooth health. Dental practices and other medical offices are appealing because any medical office will have basic personal information, such as addresses, phone numbers, social insurance numbers, and more. A dental office with only a basic security network will fail to prevent a data breach, resulting in a significant quantity of compromised information. If no managed security system is in place, then there is no way to guarantee that data is protected. Technology has made managing a dental office much easier with the ability to track patients and provide excellent service. 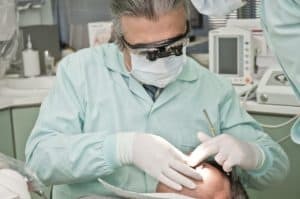 However, every dental office should be aware of the risks that exist and how to manage those risks, which includes implementing a robust cybersecurity strategy as well as providing comprehensive employee training. Do not wait to become a victim before you take action. The ITeam understands the cybersecurity issues facing Canada dental practices. We are committed to helping Calgary- and Alberta-based dentists and medical professionals develop proactive, cost-effective IT strategies that minimize risk and maximize efficiency. Contact us to learn more. Is Your Dental Clinic in Compliance with Alberta’s Health Information Act? Maintaining private records of patients is a heavy responsibility. The appropriate collection, use, and disclosure of confidential information are critical to maintaining privacy for those that choose to trust in your practice, which demands from you a strong cybersecurity strategy. Establishing security practices is an obvious step for custodians such as dentists, but many do not realize that they have to prove their digital infrastructure is secure with a Privacy Impact Assessment. A Privacy Impact Assessment (PIA) is an audit of your internal processes that defines how you identify and mitigate cybersecurity risks. It is an opportunity for an organization to look at how they manage the personal data that is retained and what steps are being taken to protect that data. 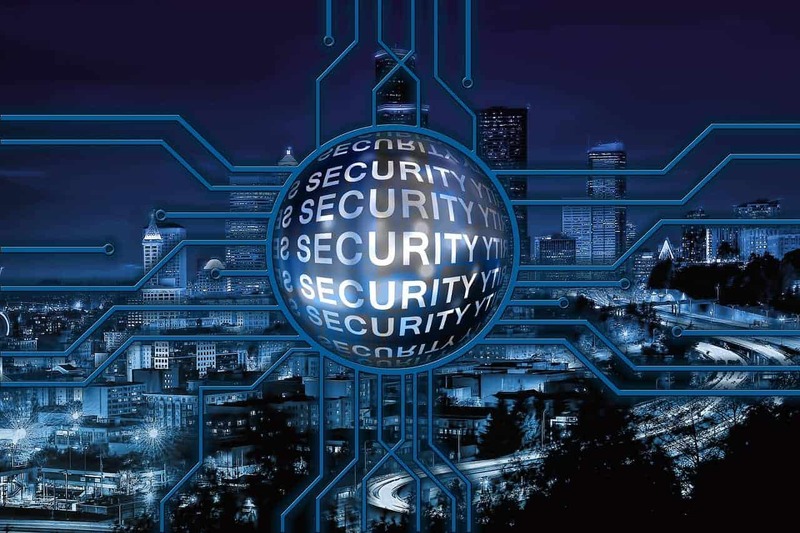 With risks always existing within any system, it is essential that organizations are aware of their weaknesses and take active steps to continuously improve their cybersecurity strategies. 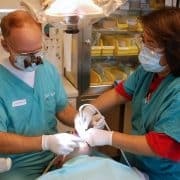 Developing PIAs can be intimidating, but to remain in compliance with Alberta’s Health Information Act, private dental practices do not have the choice. Luckily, there are many resources available to assist in creating and filing a PIA. The first step is to begin the process as soon as possible and document everything associated with privacy risks. By creating awareness of the risks that exist, this also puts you one step ahead of potential hackers who may make malicious attempts at gaining access to your confidential servers. PIAs are public documents that are not simply for show. They are a demonstration to the community you serve that you can be trusted with their privileged information. Although the PIA identifies risks and establishes a plan to manage those risks, the PIA itself is only the outlined strategy. our organization must commit to implementing the designed plan and then managing the plan with regular updates. If necessary, you can update your submitted PIA if you have made major changes to one of your programs. New risks can arise every day, requiring consistent monitoring of your systems to ensure that data is safe. The basic tenants of a PIA demand legal compliance, to determine risks and evaluate your existing processes. However, a PIA secures more than just your data. It establishes trust with whom you serve, and it prevents financial disaster for your organization that may result from fines or lawsuits in the wake of a security breach. A PIA is not merely an annoying hurdle, but is, rather, an ethical responsibility as a private dental practice. Both you and your patients will have peace of mind, and maintaining compliance is critical to the success of your organization.